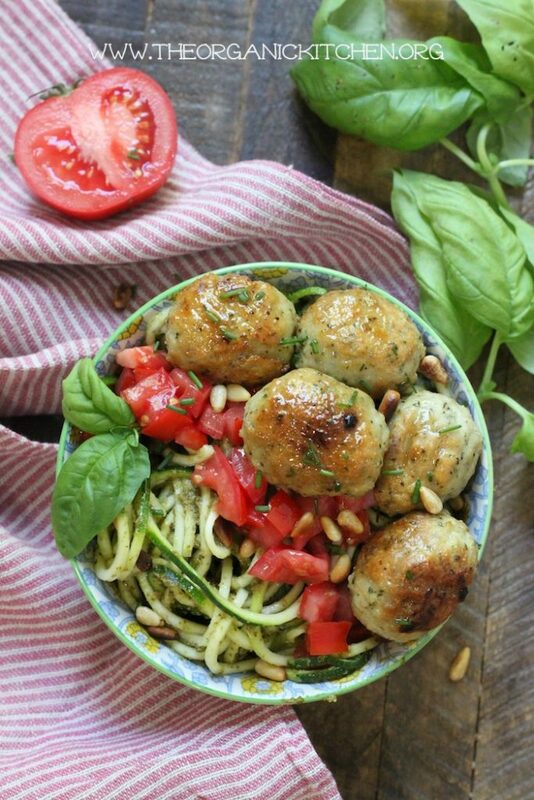 Here’s a fun little low carb meal that has a zippy taste and doesn’t require a big time investment: Italian Meatballs with Pesto Zucchini Noodles! A combination of ground beef, ground pork and spices, these meatballs are flavorful and never dry! Made with almond flour instead of breadcrumbs, they are also Paleo, Whole30 and Keto friendly! Many stores now carry spiraled veggies right in the produce department. You can go right ahead and use those, they are terrific, but usually a little more expensive than making your own. If your store doesn’t carry them, don’t fret, They are super easy to make. 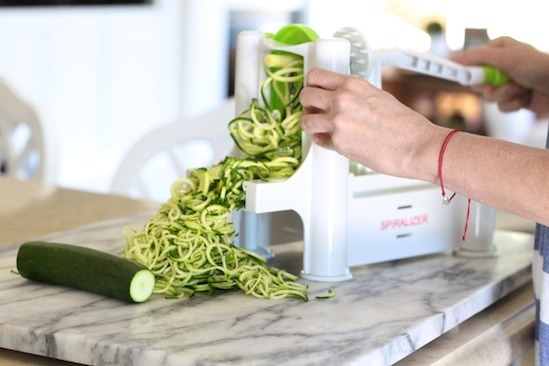 You can use a hand crank spiralizer, which is fine for zucchini and very budget friendly. 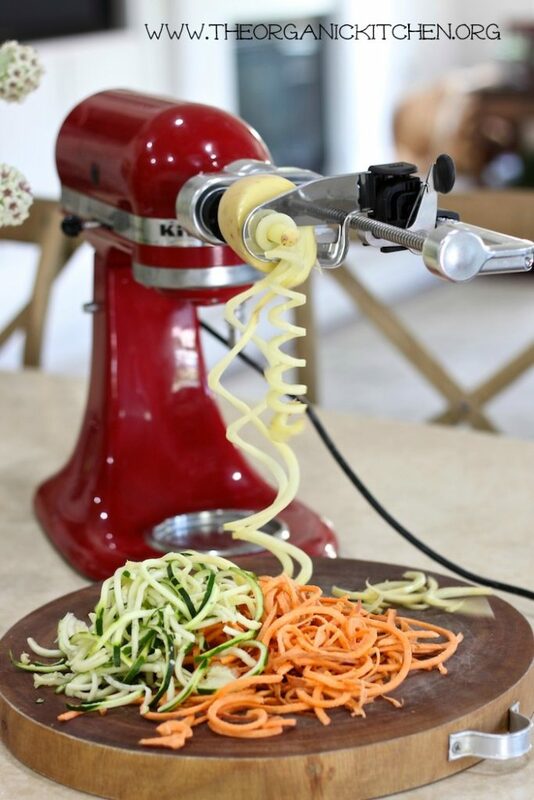 The hand crank versions work great for soft veggies like zucchini and white potatoes but to be honest, if you plan on spiralizing harder vegetables, like carrots or sweet potatoes, you may want to invest in the attachment for the Kitchen Aid mixer. It’s a dream tool and handles those harder vegetables like a champ. You can just walk away and let the machine do the work! 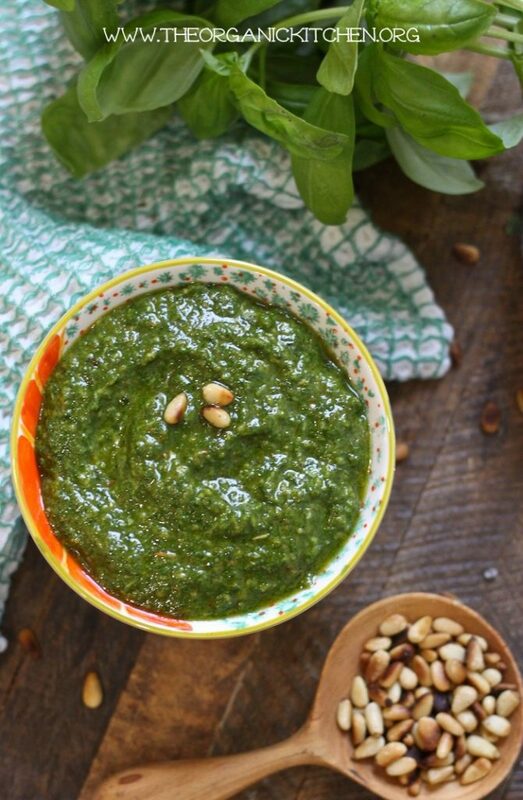 This tasty basil pesto is made in in literally two minutes, no kidding! You can find my Dairy Free Version here OR if you would rather have my traditional version made with parmesan, link here. A delicious, healthy, low carb meal made in under 30 minutes! Tips and What You Need: If you can’t find pre-spiraled zucchini you will need to make your own using either a hand crank spiralizer or the attachment for the Kitchen Aid mixer.You can find my Dairy Free Pesto here OR if you would rather have my traditional version made with parmesan, link here. 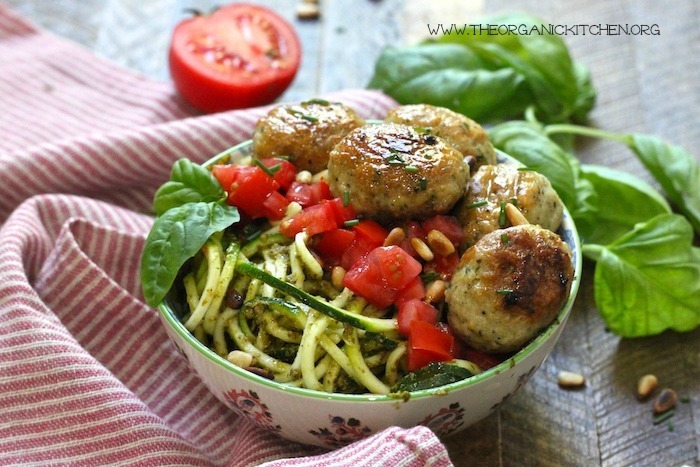 Italian Meatballs with Pesto Zucchini Noodles! 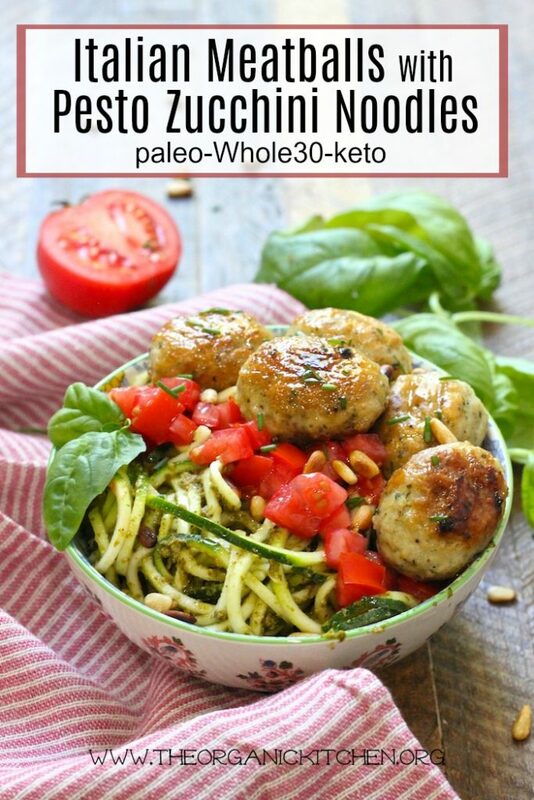 A 30 minute meal with paleo, Whole 30 and Keto options!